Home Loksabha 2019 How to search name in voter list? Belagavi will vote on April 23. It is essential for you to know if your name is on the voters’ list if your name is not there you won’t be able to vote even if u hold the Voters ID Card with you. The Election Commission of India had recently published the voters’ list for 2018 on its official website. Here you have options to search by EPIC number (your Voter ID card Number) or name. You can also see the PDF file of the actual Voters list but this will be Polling booth wise and with no search option this is a tedious job. Note bearing the above ECI website have become slow due to traffic since the announcement of the elections and they are frequently changing the links, hence some of the above links could be bad. BelagaviVotes100% a group of independent like-minded people has set up a dedicated line 08312424146 to help any queries from voters. 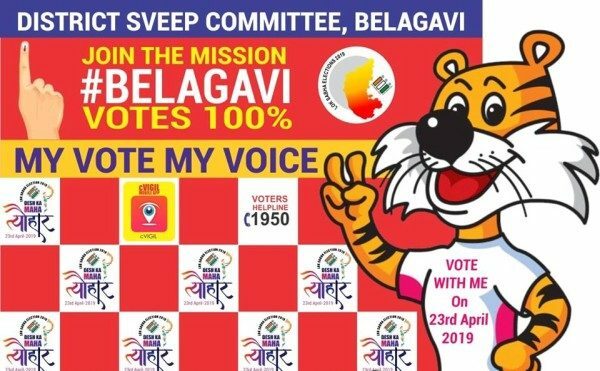 The BelagaviVotes100% has worked meticulously to create awareness amongst the voters through streets plays, rallies and other events.